Apply 16 - 32 ounces (473 – 946 ml) of Wintergreen Plus with 2.88 – 2.75 gallons (10.9 – 10.4 L) of water for a total spray volume of 3 gallons (11.35 L) per 1,000 sq (93 m2). 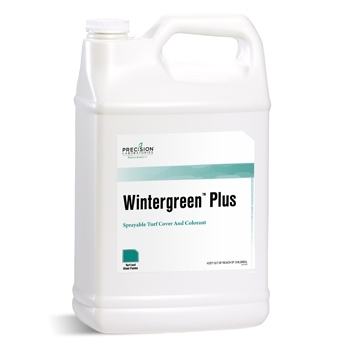 Apply 8 -12 ounces (237 -355 ml) of Wintergreen Plus with 0.94 – 0.91 gallons (3.6 – 3.4 L) of water for a total spray volume of 1 gallon (3.78 L) per 1,000 square feet (93 m2) or apply 2.7 – 4 gallons (10.2 – 15.1 L) Wintergreen Plus with 40.8 – 39.5 gallons (154.4 – 149.5 L) for a total spray volume of 43.5 gallons (164.7 L) per acre (0.4 ha). Apply 8 ounces (237 ml) of Wintergreen Plus with 0.94 gallons (3.6 L) of water for a total spray volume of 1 gallon (3.78 L) per 1,000 square feet (93 m2). Alternately, apply 2.75 gallons (10.4 L) Wintergreen Plus with 40 – 54 gallons (151 – 204 L) of water for a total spray volume of 43 – 57 gallons (163 – 216 L) per acre (0.4 ha).